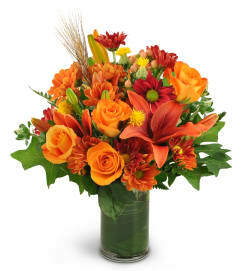 We’ve designed one of our most impressive fall bouquets into a luxurious centerpiece. 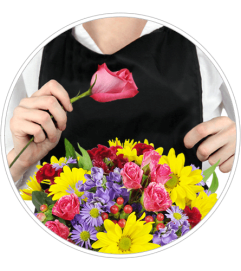 Radiant roses and sunflowers are hand-gathered with a mix of brightly colored blooms and unique accents, creating a truly unique gift. 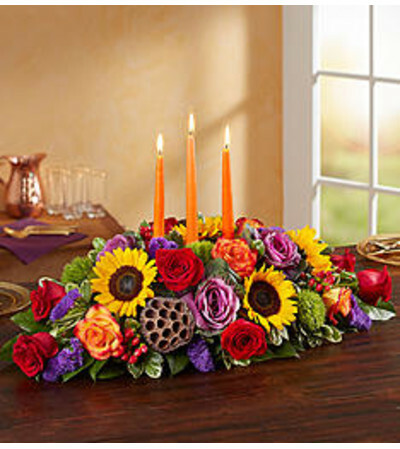 A trio of candles adds the perfect finish for a season full of spirited celebrations with those you love.